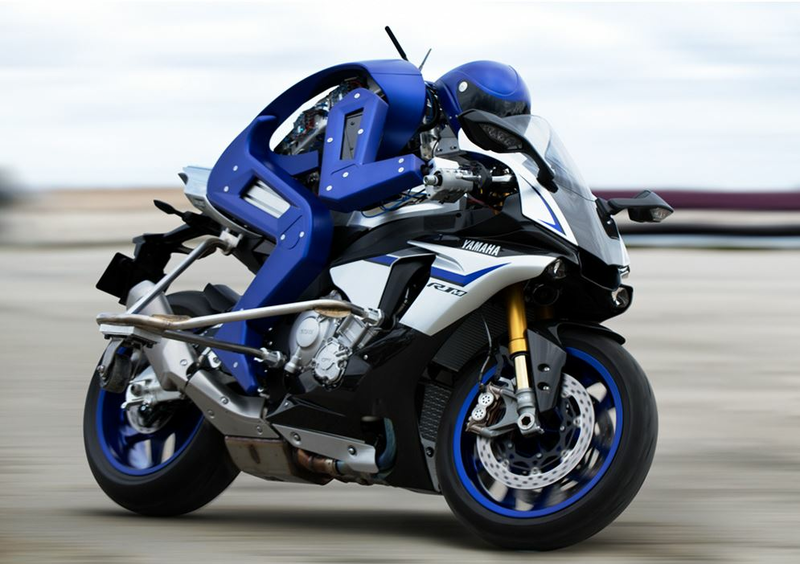 Yamaha surprised at the 44th Tokyo Motor Show 2015 yesterday when it showed a motorcycle-riding robot along with images showing the robot riding Yamaha's 1000cc R1M. The motorcycle-riding humanoid is part of an R&D effort aimed at creating advanced rider safety and rider-support systems. Patrick George wrote in Lanesplitter-Jalopnik on Wednesday: "At the Tokyo Motor Show today, Yamaha dropped a bombshell on both the bike world and humanity in general with Motobot: the motorcycle-riding robot that's not as fast as a human being yet. One day it aims to be," reported by Techxplore. 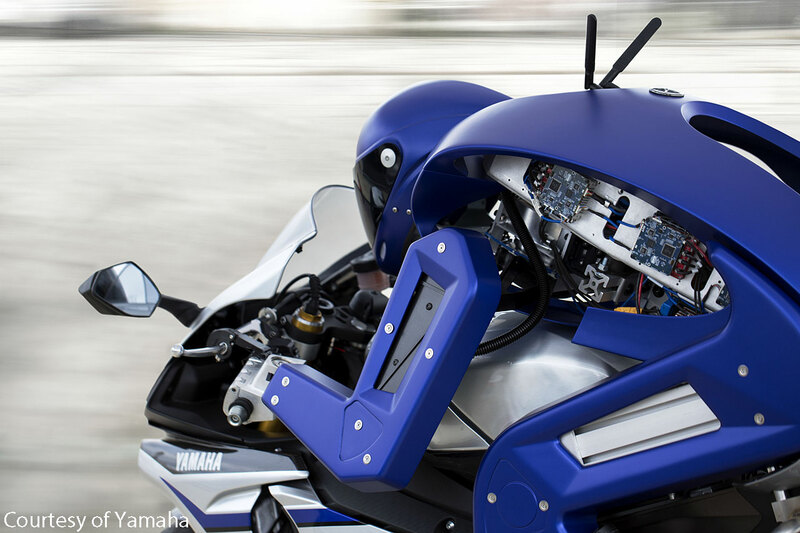 This is an autonomous motorcycle-riding humanoid robot built around a fusion of Yamaha's motorcycle and robotics technology. R&D is currently underway with the goal of developing the robot to ride an unmodified motorcycle on a racetrack at more than 200 km/h. The task of controlling the complex motions of a motorcycle at high speeds requires a variety of control systems that must function with a high degree of accuracy. Yamaha’s press release said they want to apply the fundamental technology and knowhow gained in the process of this challenge toward creating advanced rider safety and rider-support systems and to put them to use in their current businesses, as well as using them to pioneer new lines of business.